BRING ALL OFFERS! Master on main. Built '94. Inviting Updated Impeccably Cared For + Loaded with Charm! 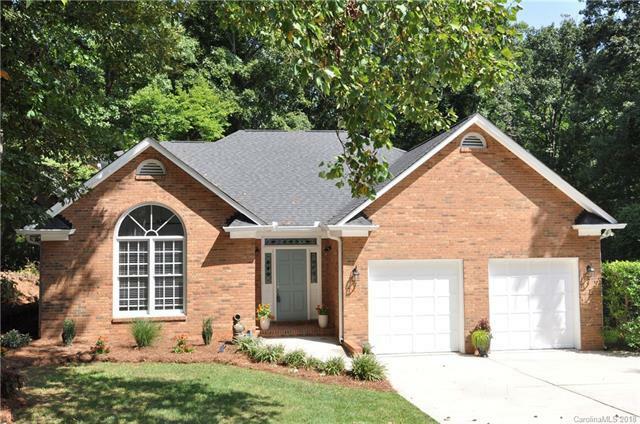 Welcome to this Custom Brick Home Situated on Park-Like Ac Wooded Lot w/Lush Landscape, Peaceful Meandering Creek. Expansive Interior. Large Foyer Greets You as You Enter. Spacious Dining Rm. Great Rm with Floor-to-Clg Fireplace Perfect Entertaining Space. Redesigned & Updated Kitch w/New Appl; Granite Counters & Tile Flring. Brkfast Area is filled with Natural Light. Separate Lndry Rm. Master Suite on Main with Soaking Tub, Separate Shower + Walk-in Clst. Also on Main Level are 2 Guest Bdrms that Share Full Bth. Upstairs is a Full Bth + 4th Bdrm with Walk-in Clst. You'll love the Ultimate Bonus Rm-which Could Be a Private Guest Retreat; Office; Game/Media Rm. Sparkling Hrdwds; New Carpet, Plumbing Fixtrs, Painted Interior. Newer HVAC and Roof. Expansive Multi-Sectional Deck. Storage Building. Home Warnty Included. Spacious 2-car Attached Grg. Dont Miss This One! !